Based on principles of the conservation and optimization of biodiversity and of equity and sustainability, this book focuses on the ecology of the coffee agroecosystem as a model for a sustainable agricultural ecosystem. It draws on the authors' own research conducted over the last twenty years as well as incorporating the vast literature that has been generated on coffee agroecosystems from around the world. 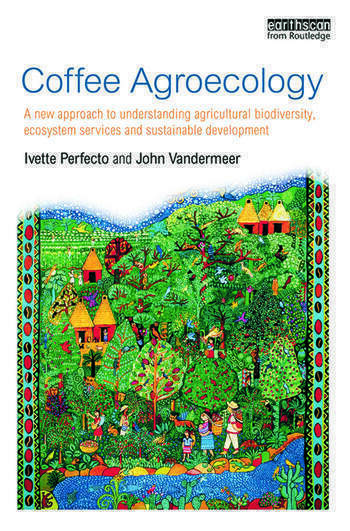 The book uses an integrated approach that weaves together various lines of research to understand the ecology of a very diverse tropical agroforestry system. Key concepts explored include biodiversity patterns, metapopulation dynamics and ecological networks. These are all set in a socioeconomic and political framework which relates them to the realities of farmers' livelihoods. The authors provide a novel synthesis that will generate new understanding and can be applied to other examples of sustainable agriculture and food production. This synthesis also explains the ecosystem services provided by the approach, including the economic, fair trade and political aspects surrounding this all-important global commodity. Ivette Perfecto is George W. Pack Professor of Ecology, Natural Resources and Environment at the University of Michigan, USA. John Vandermeer is Asa Grey Distinguished University Professor of Ecology and Evolutionary Biology, and Alfred T. Thurnau Professor at the University of Michigan, USA.